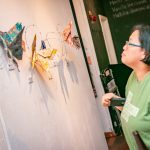 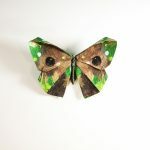 For most people, folding origami usually conjures up memories of making flapping birds, flowers or “fortune teller” action models. 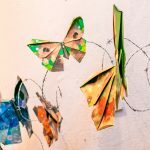 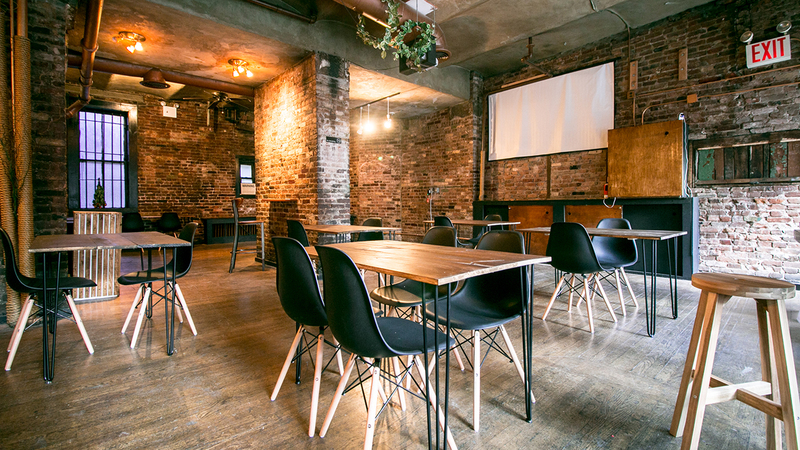 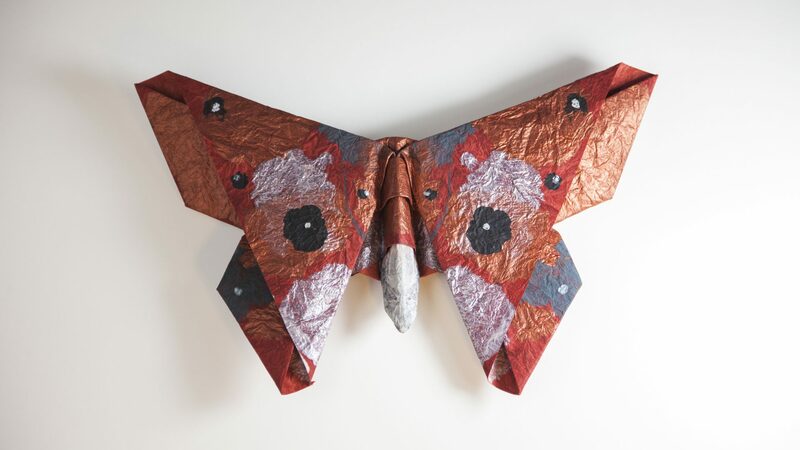 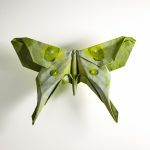 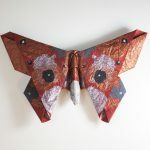 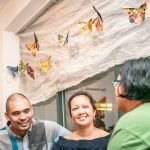 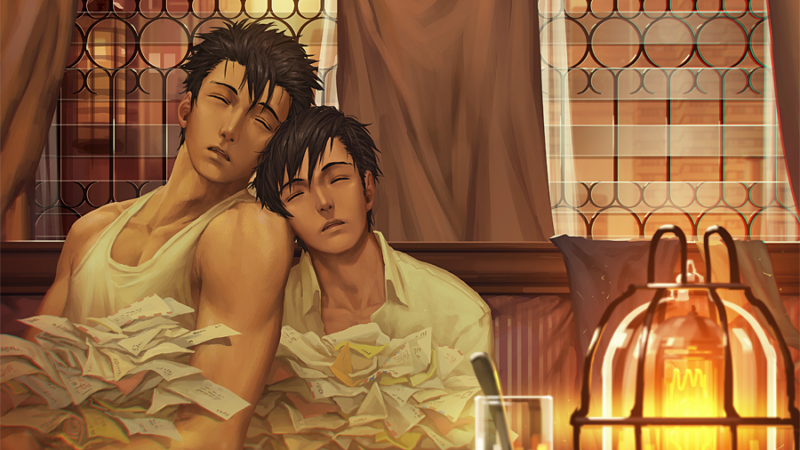 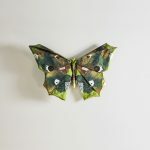 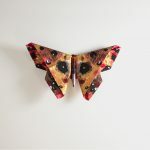 Even modern, more sophisticated origami practices will involve mimesis, or representational paper folding, such as flora, fauna and fantastical creatures. 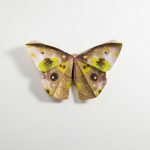 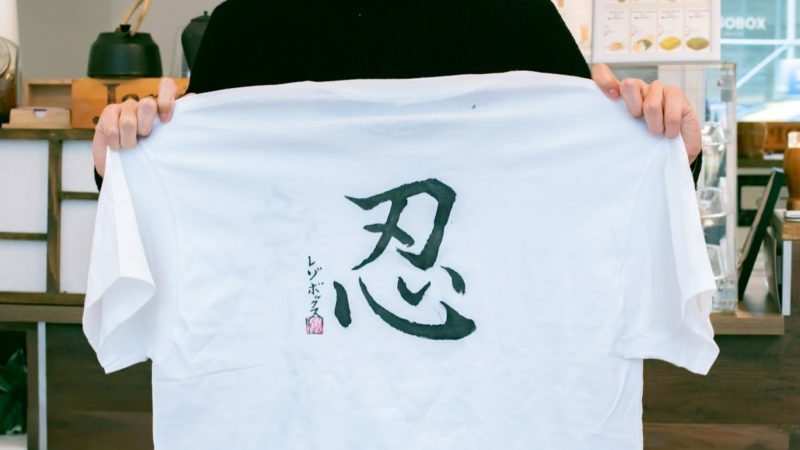 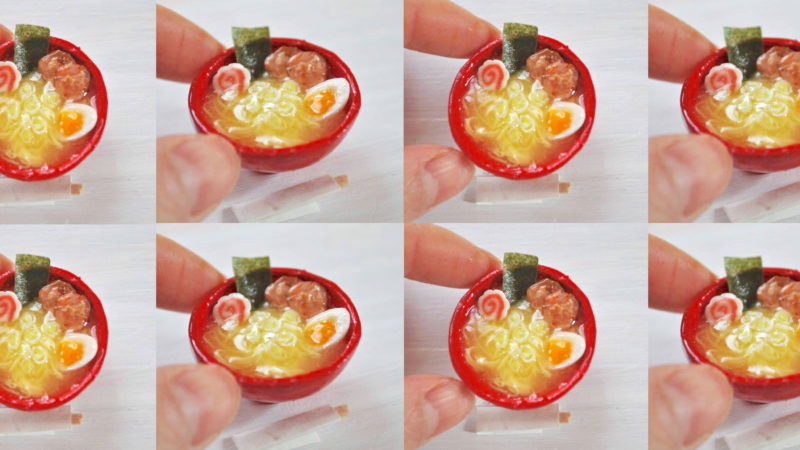 The results can be astonishingly realistic but they are still using only single- or dual-colored squares of paper, although printed and patterned paper is also folded to very good effect. 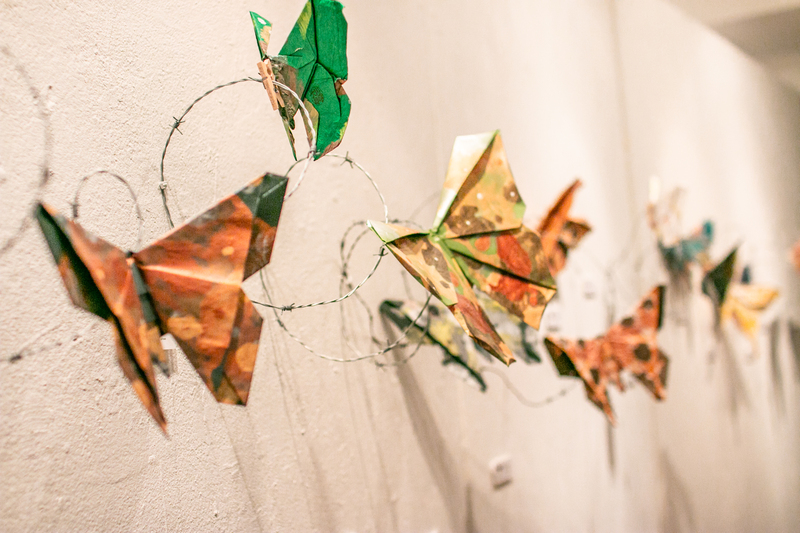 In this exhibition, I took further advantage of the paper itself as a representational medium beyond just folding it. 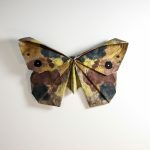 In most instances each sheet of paper was pre-painted before folding and sometimes it was painted afterwards, as well as being painted both before and after the folding. 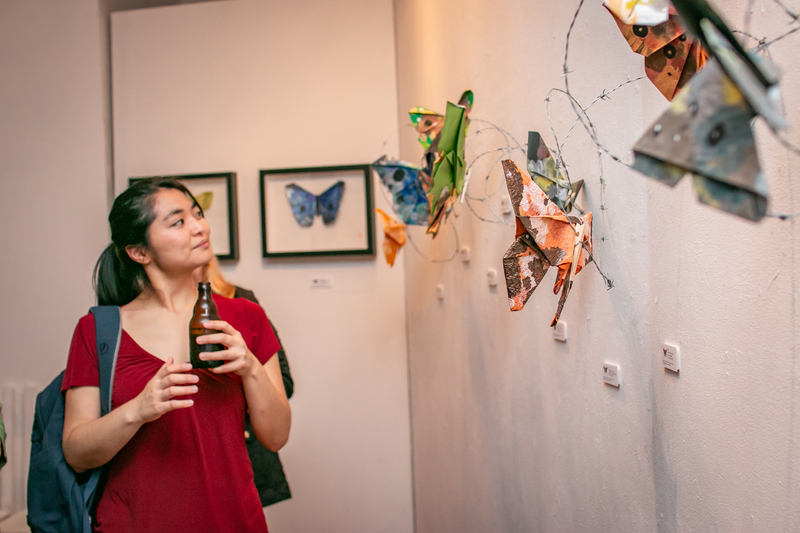 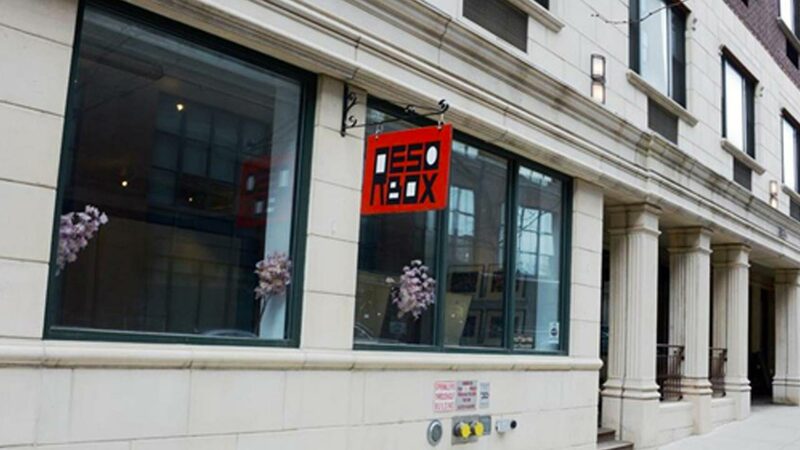 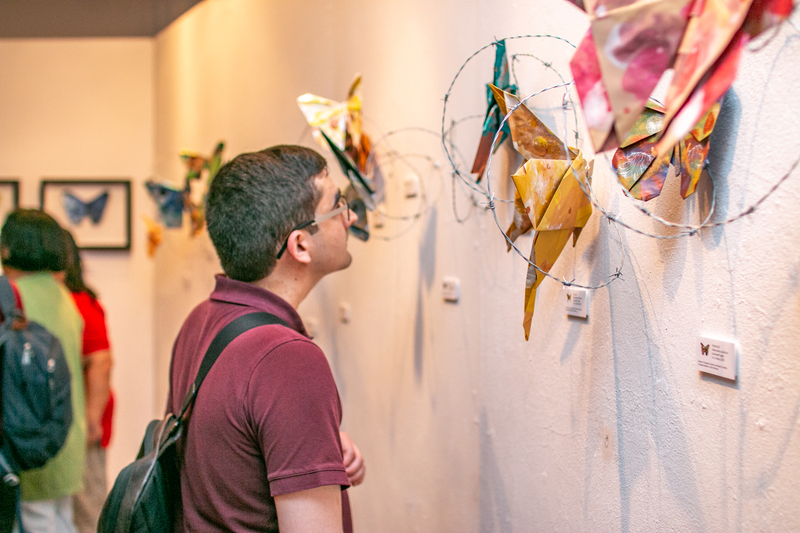 In addition, the pieces for this installation are contextualized with other materials to add dissonance and social commentary but mostly to encourage you to be mindful of each piece individually, pushing your perceptions and broadening the boundaries of this timeless craft. 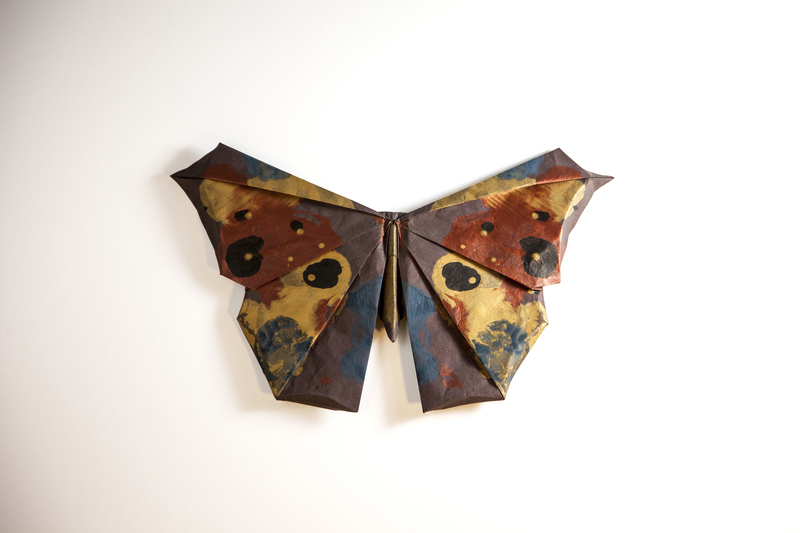 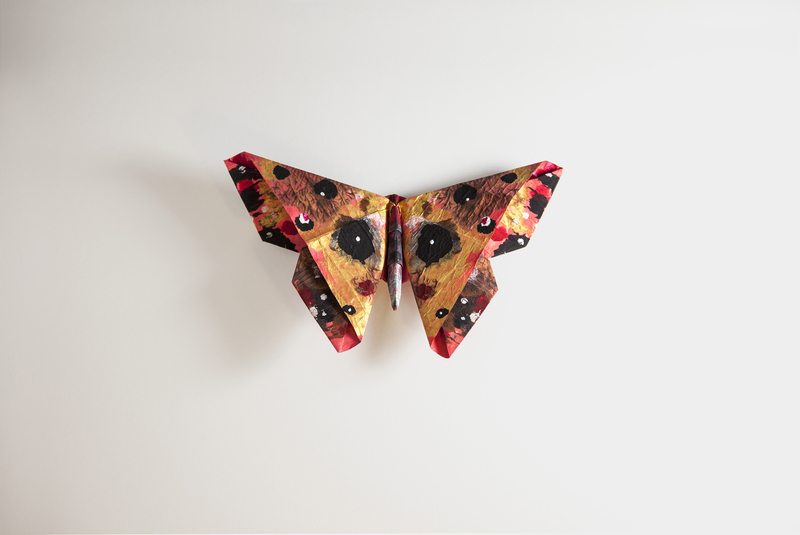 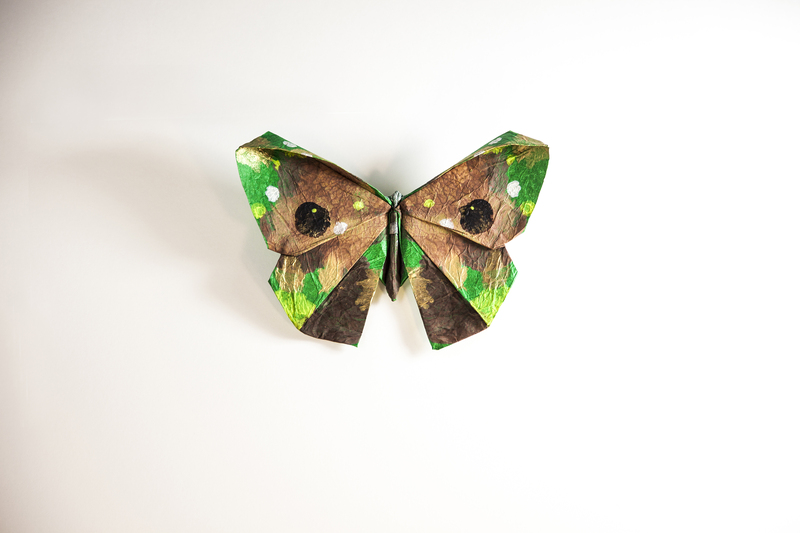 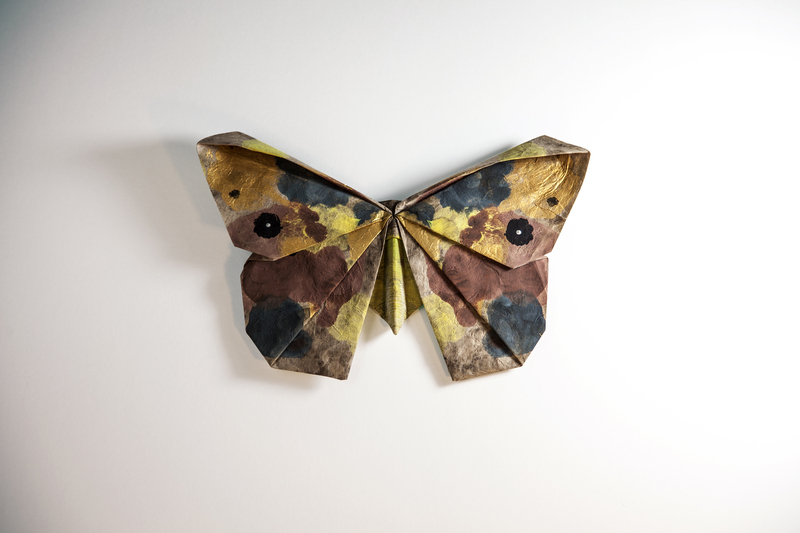 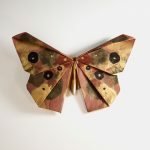 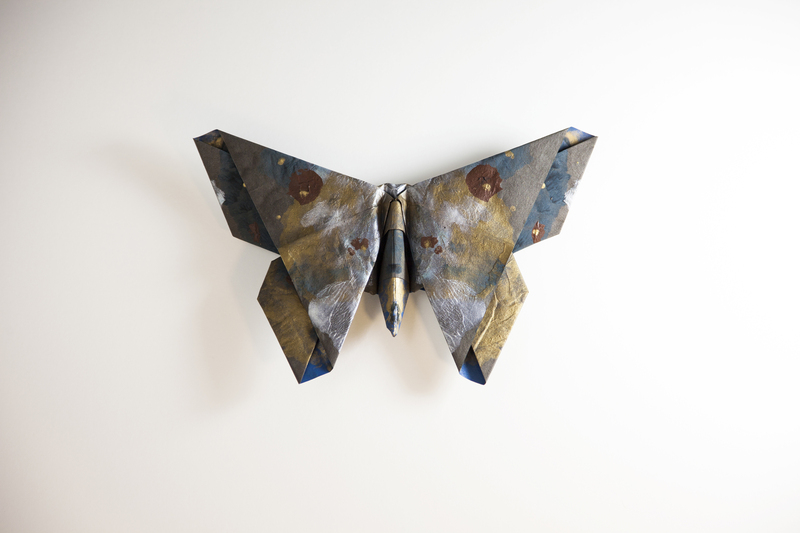 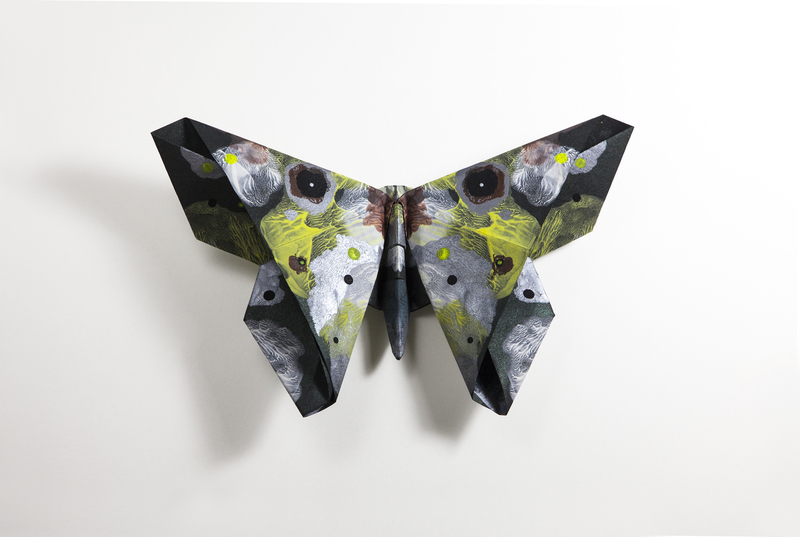 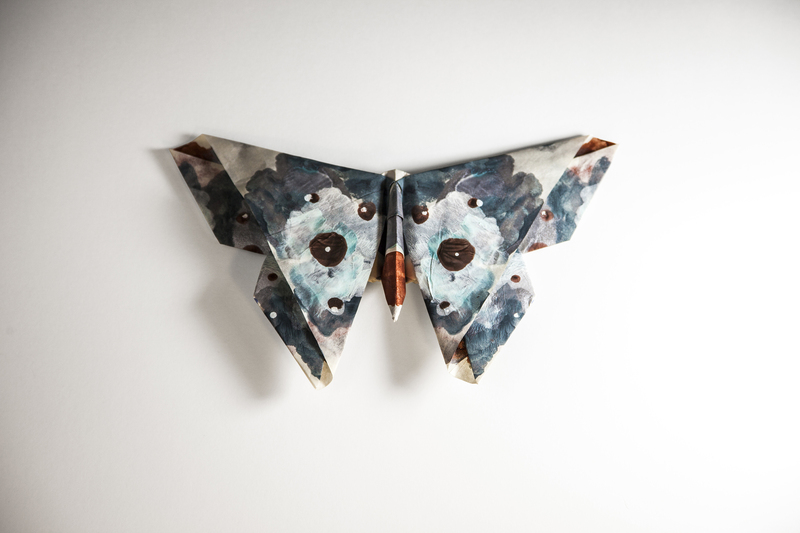 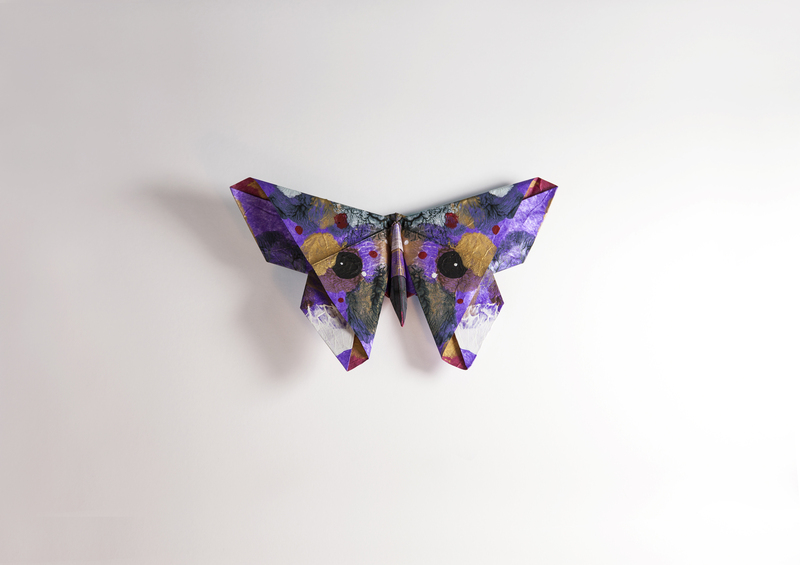 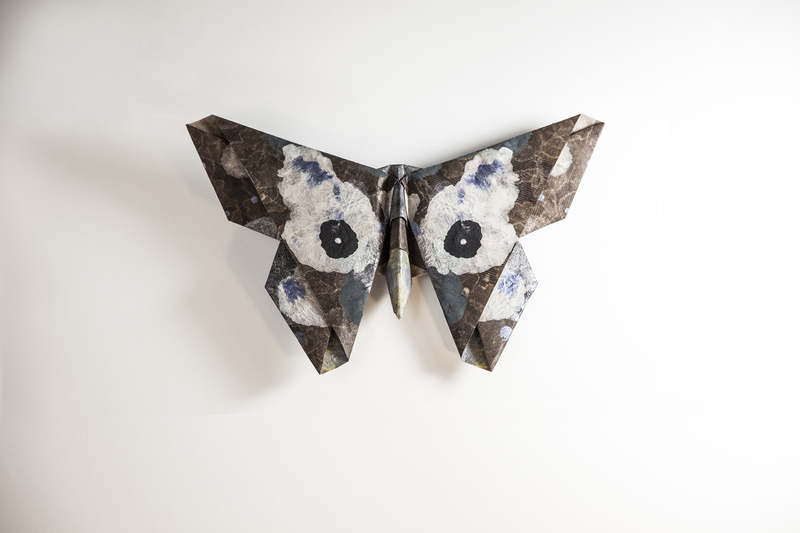 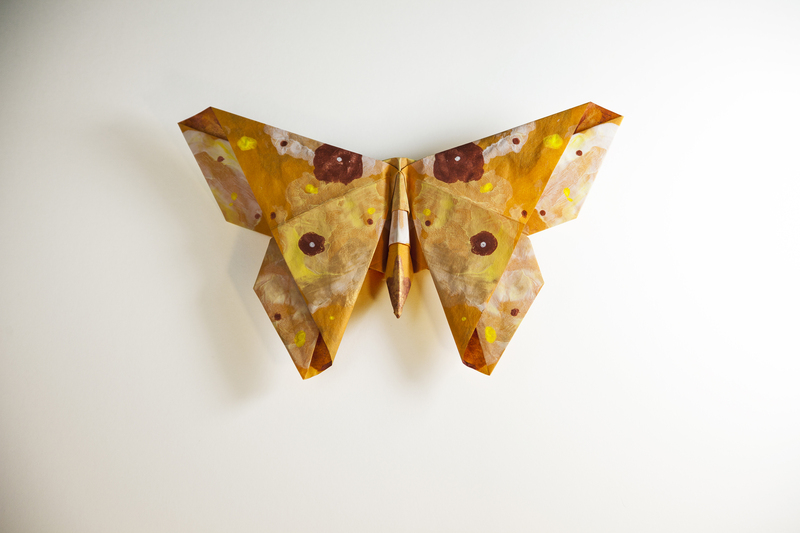 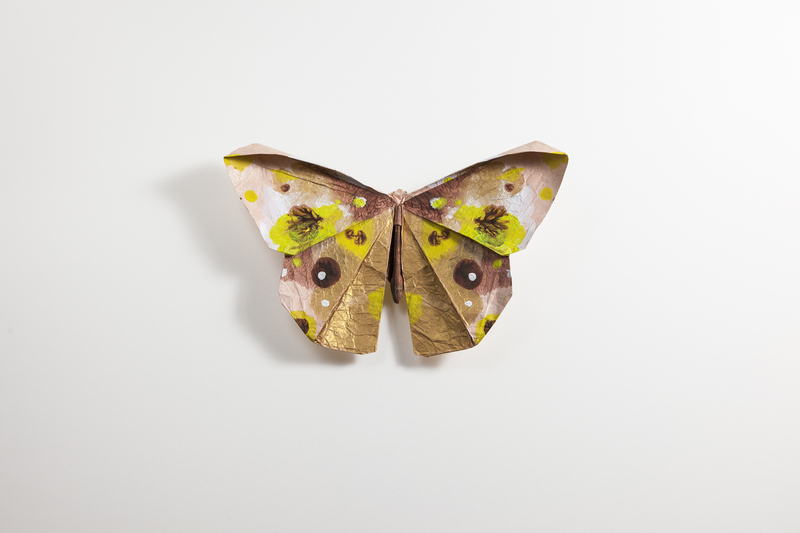 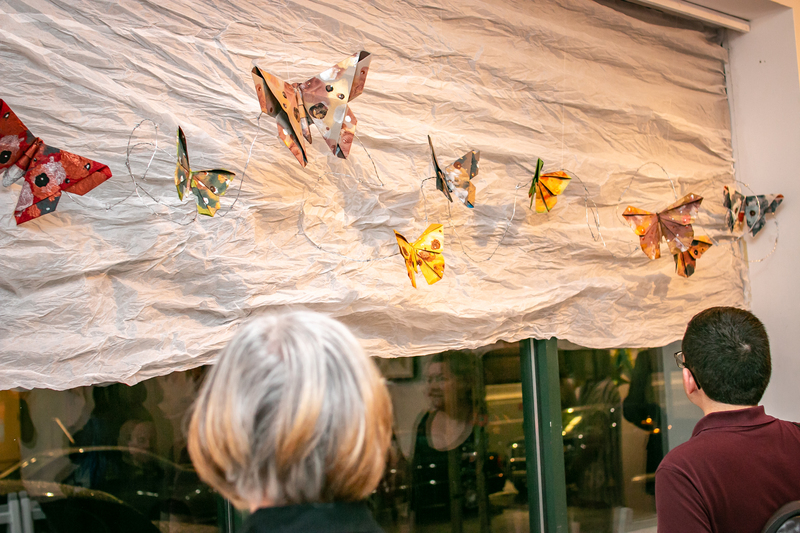 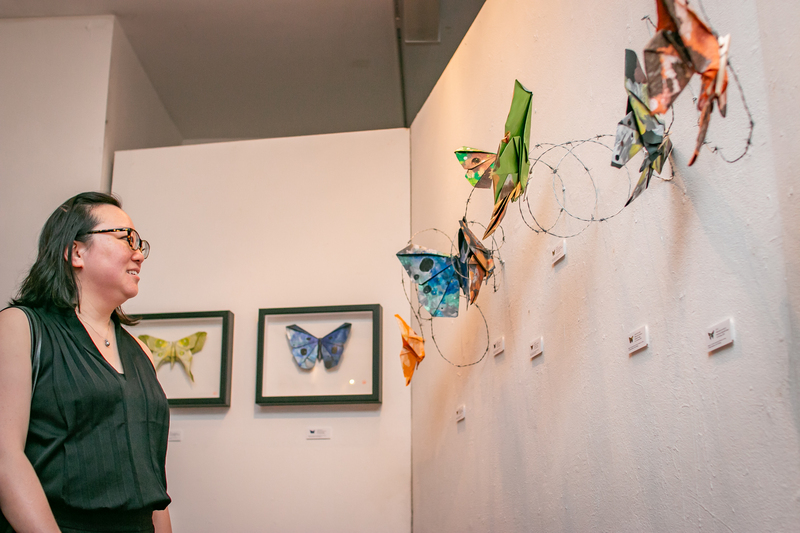 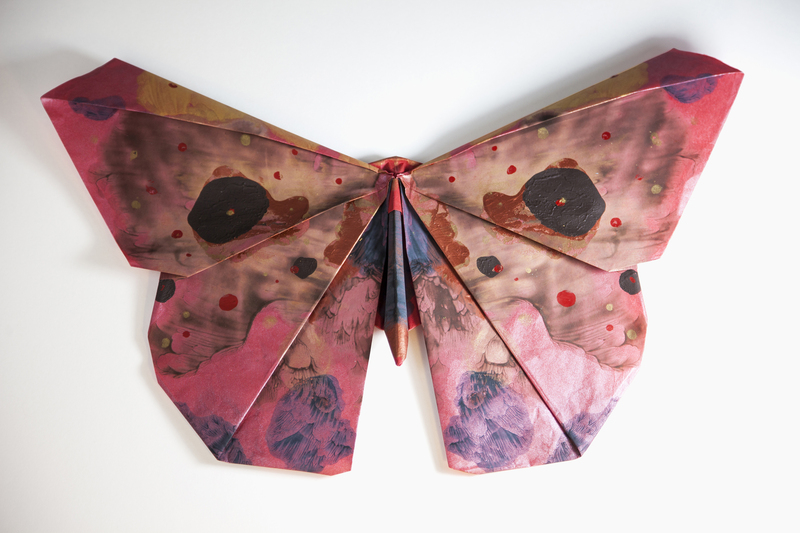 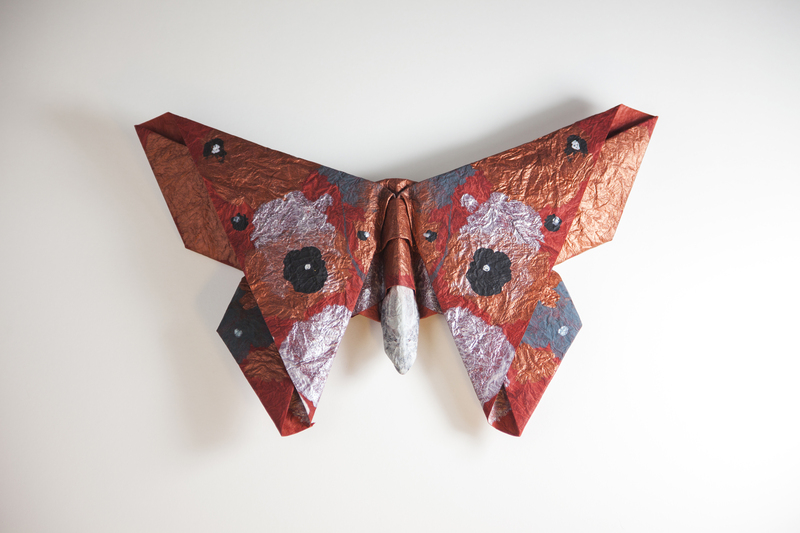 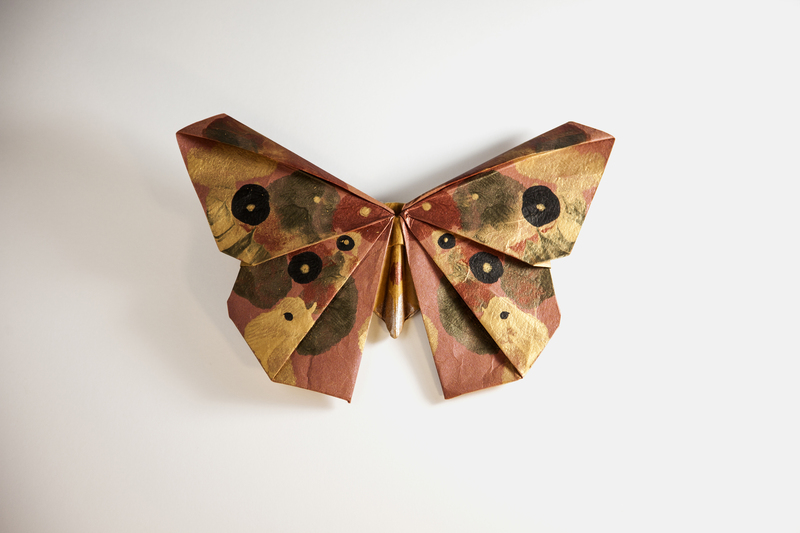 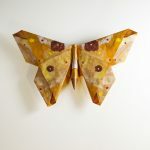 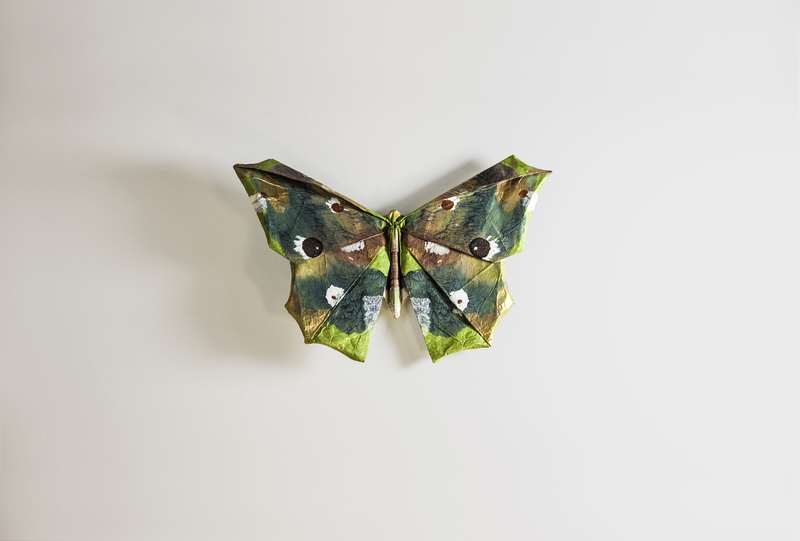 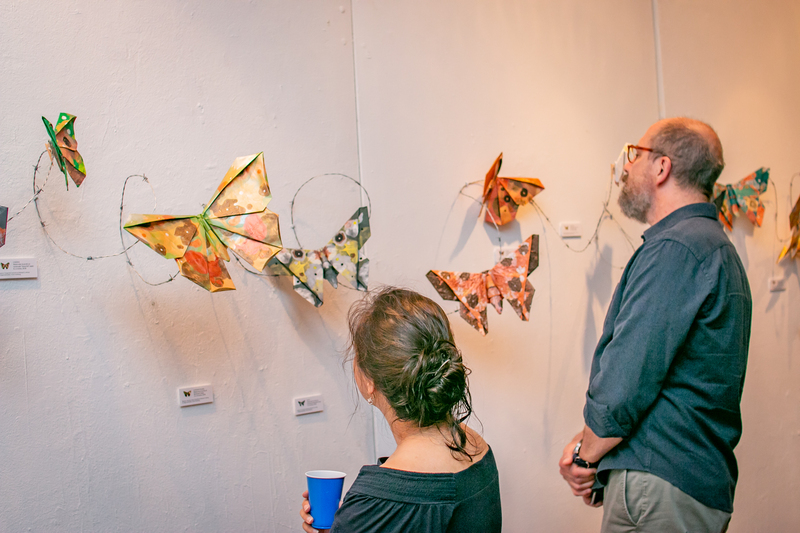 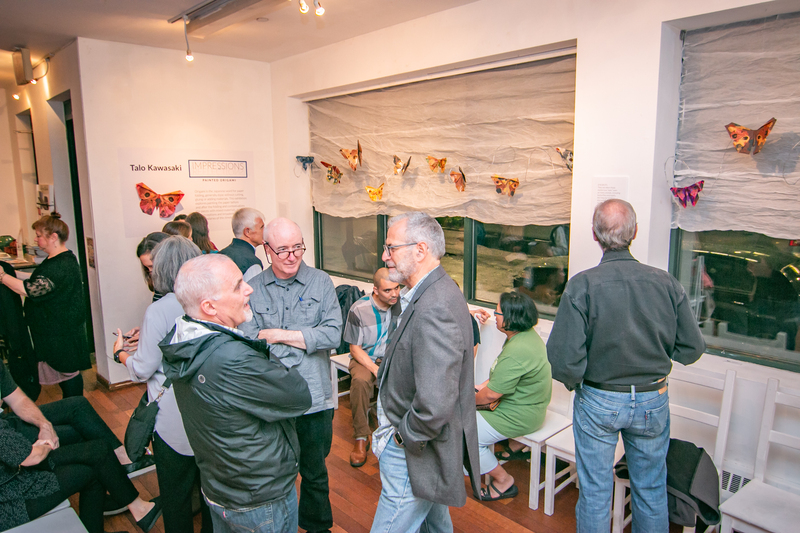 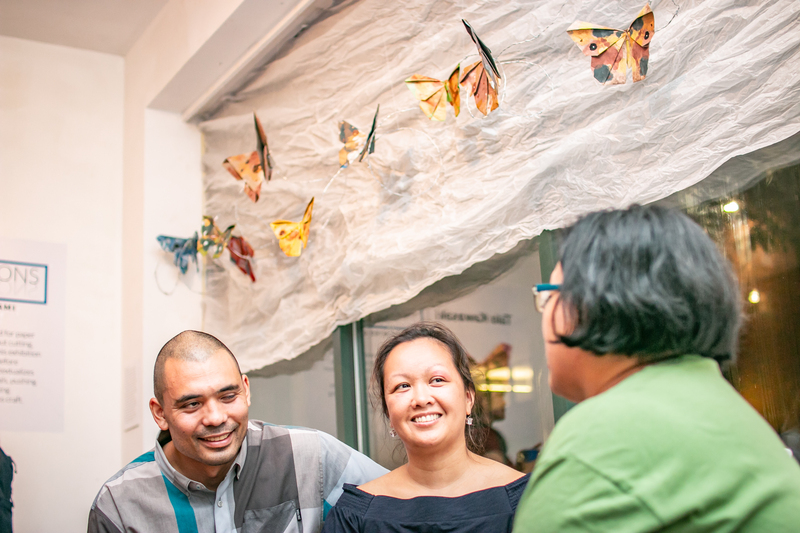 All of the butterfly folds were designed by Michael LaFosse and Richard Alexander and their Origamido Studio. 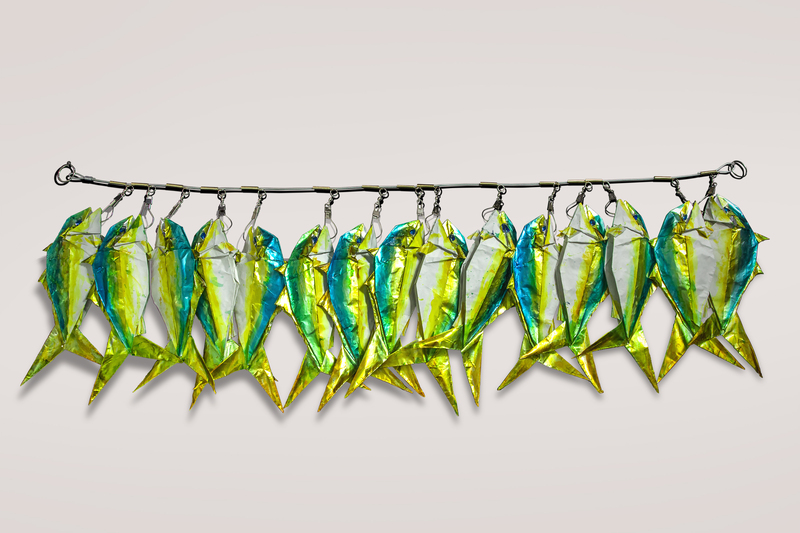 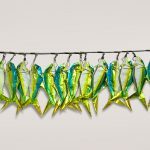 Kyohei Katsuta for Makoto Yamaguchi and Origami House in Japan created the Yellowtail fish model. 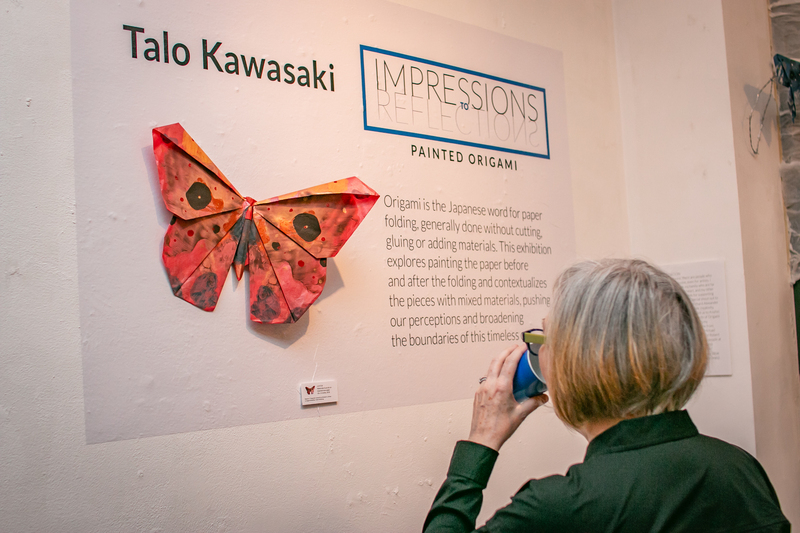 Talo would like to sincerely thank them all for their generous support and permission to recreate their elegant designs for this exhibition. 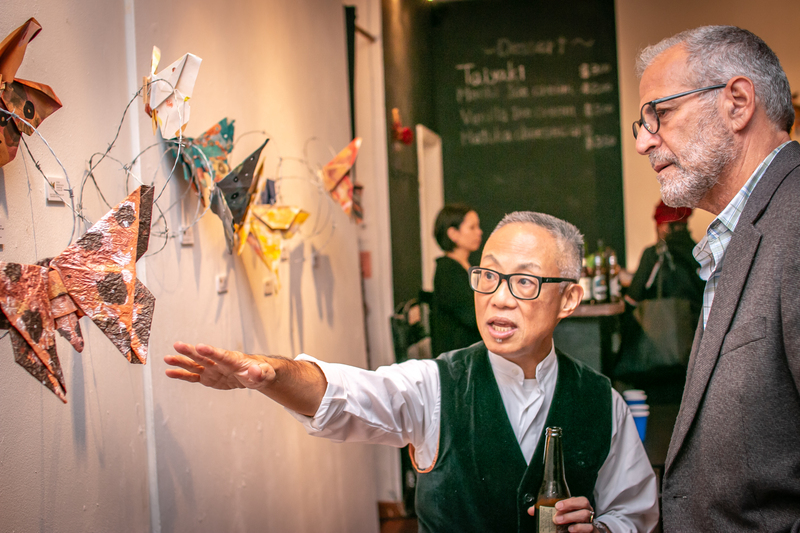 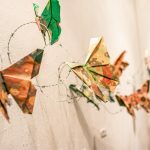 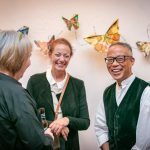 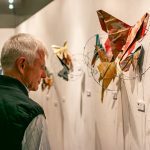 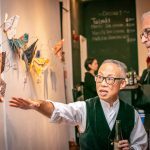 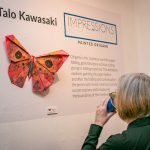 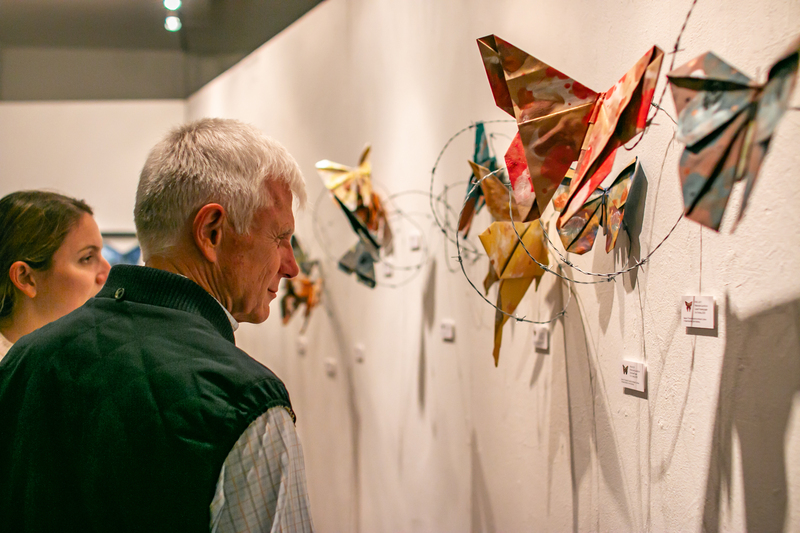 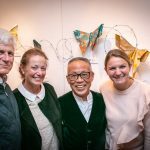 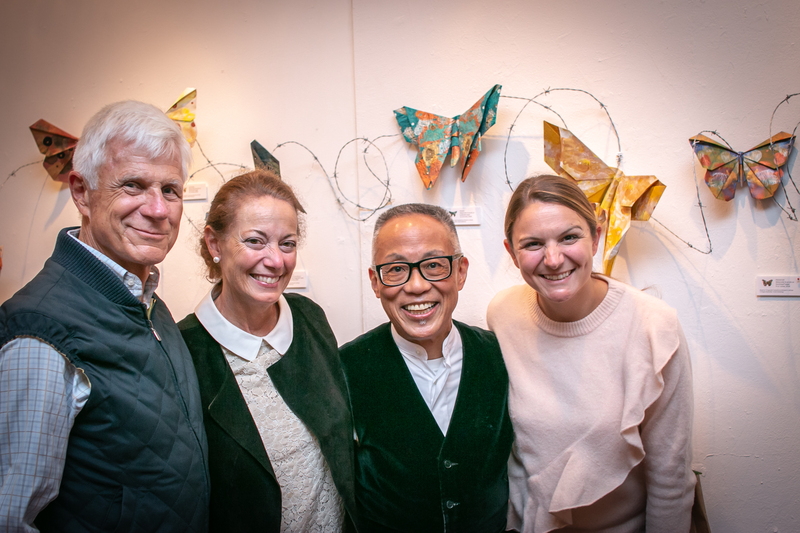 This exhibition may be Talo Kawasaki’s solo New York debut but it is not the first time he has exhibited origami, including his own original models. 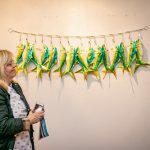 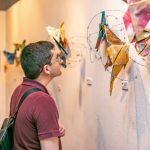 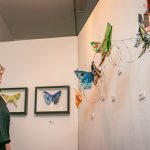 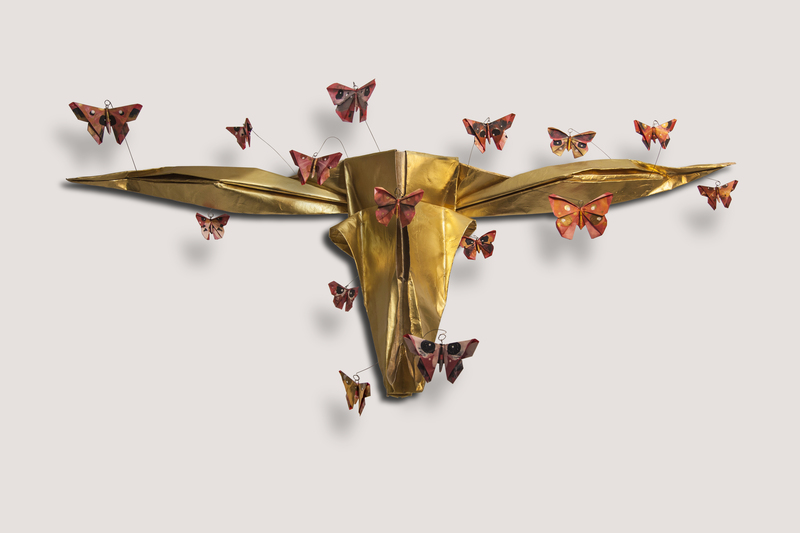 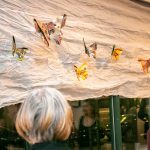 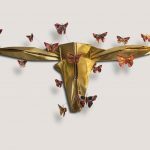 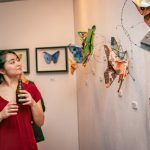 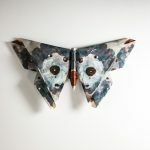 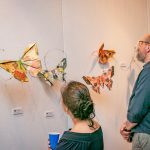 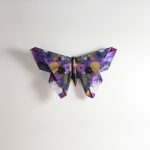 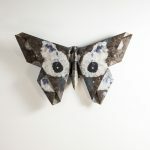 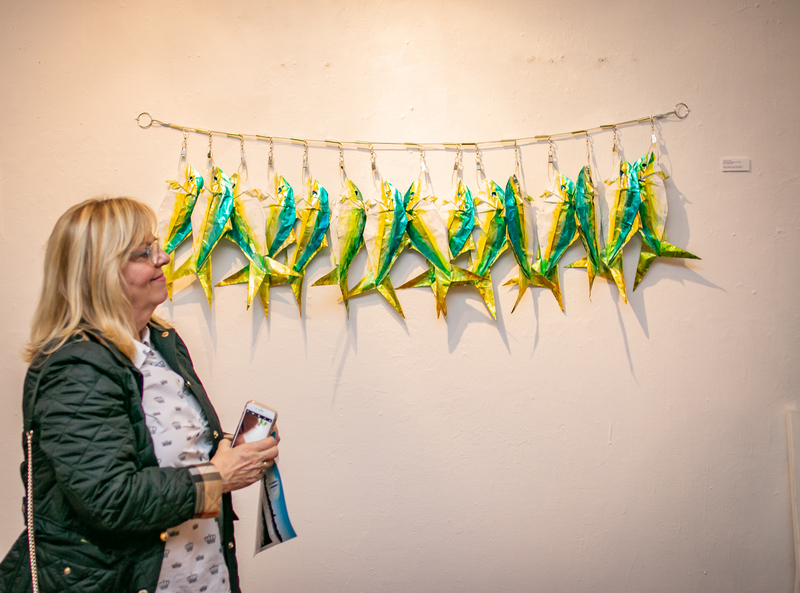 His folded artwork has appeared in numerous commercial installations and events, conference exhibitions, as well as in the stage productions of Animals Out of Paper. 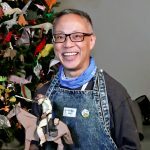 Talo is also co-designer of the popular origami holiday tree at the American Museum of Natural History, having also folded many of its featured models. 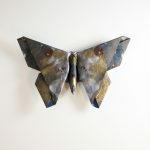 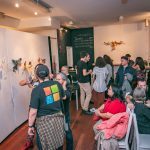 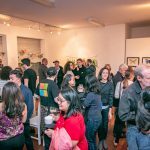 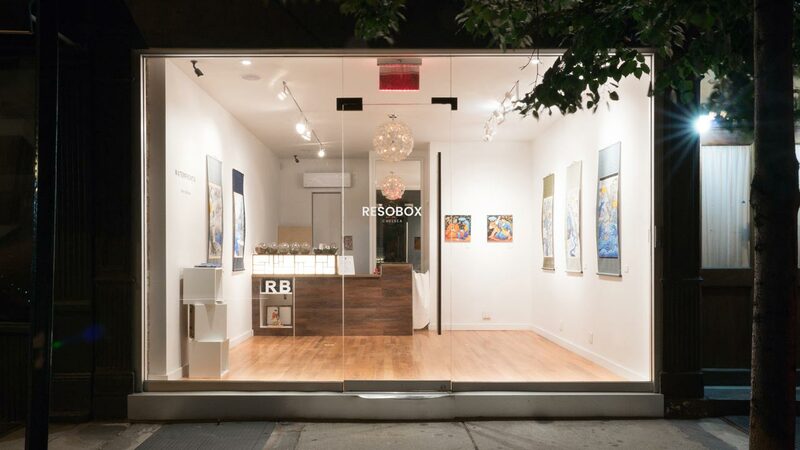 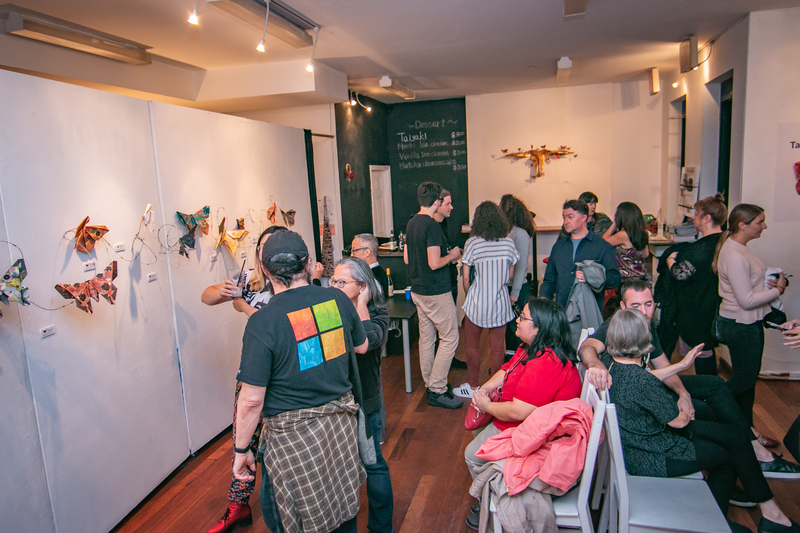 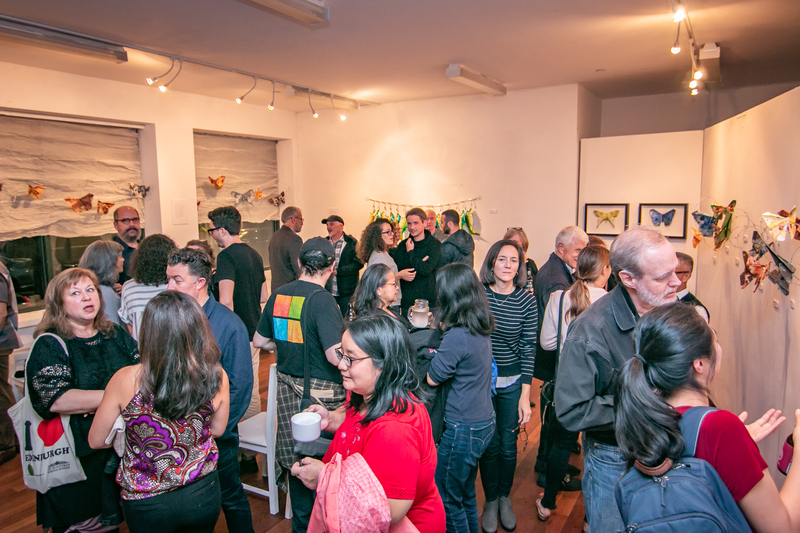 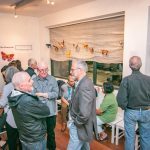 In addition, he enjoys the creative process of Artist Trading Cards, tiny limited origami editions which are exchanged with fellow artists which can provide an endless source for new ideas and innovations. 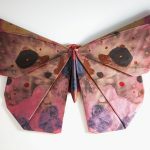 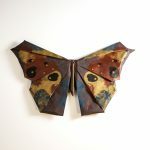 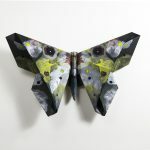 In fact, painting the paper for butterflies is but one example of this experimentation. 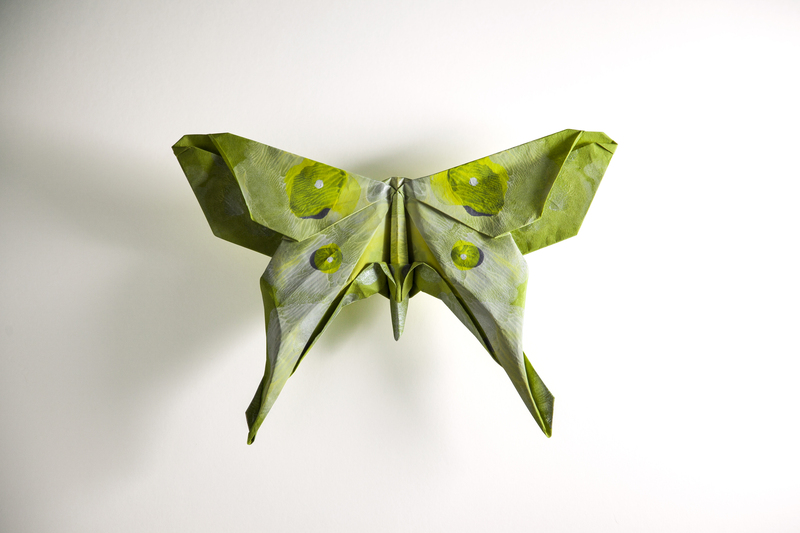 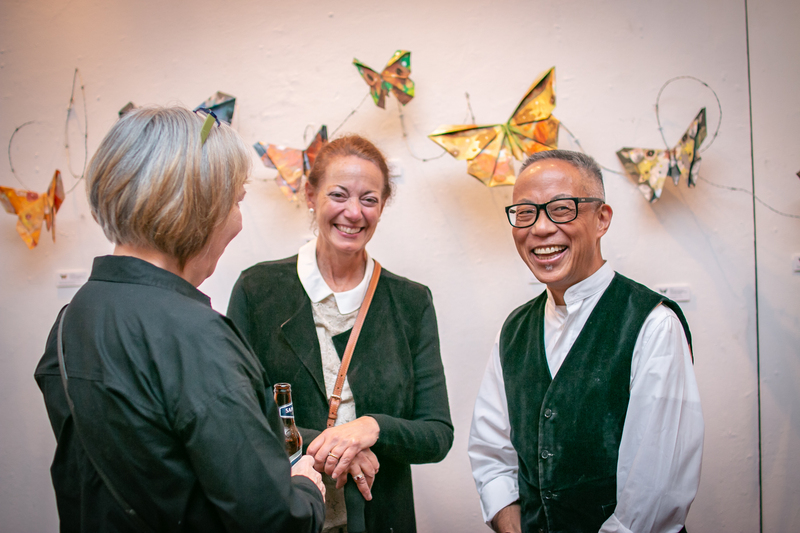 Talo’s interest in origami began with folding frogs as a boy in Louisiana when he always strove to make them look more lifelike. 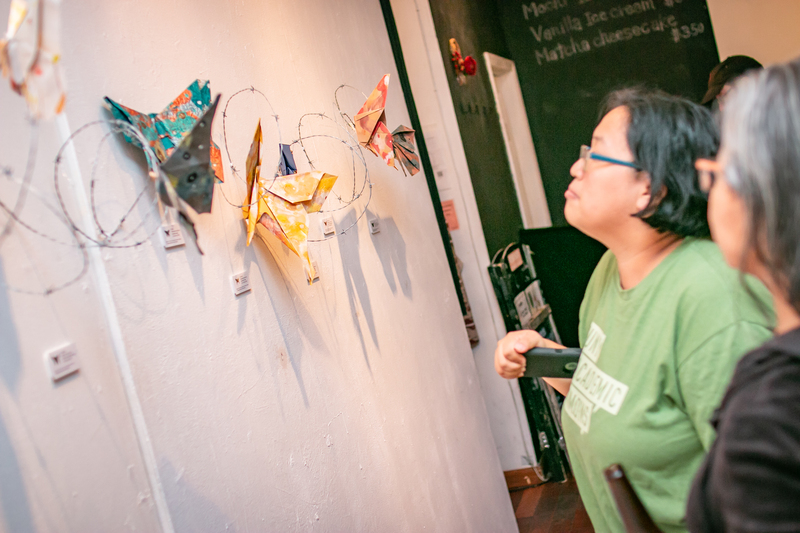 That perseverance in perfecting his craft continues, bearing new and more colorful fruit.